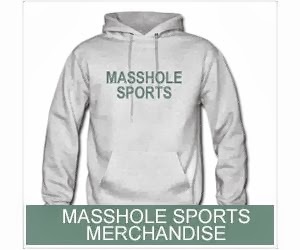 Masshole Sports: Just When You Thought PK Subban Couldnt Get Any Douchier. He Let Some Obnoxious Lady Drink From His Norris Trophy And Post The Picture On Instagram. Just When You Thought PK Subban Couldnt Get Any Douchier. He Let Some Obnoxious Lady Drink From His Norris Trophy And Post The Picture On Instagram. Someone has to tell PK Subban that the Norris Trophy isnt the Stanley Cup. You dont pass it around and drink out of it. Well, that is probably the closest thing to the Stanley Cup that he will ever win, so I guess its understandable. Anyway, the obnoxious blonde in the picture is Meliss King. On her Instagram page, she claims to be a center for the Chicago Bliss of the Lingerie Football League, but isnt listed on their official roster. Based on that page, it appears her full time job is taking pictures of herself in front of mirrors. 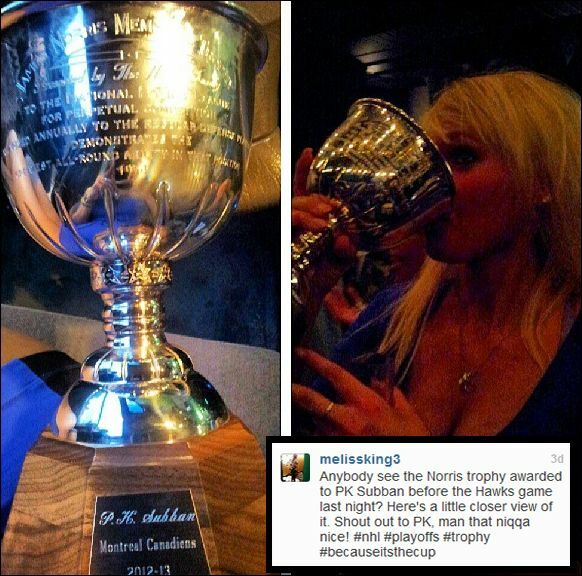 Not only did this lady post a picture on Instagram of herself drinking out of the Norris Trophy, she bragged about it and used a racial slur when referring to Subban (see the above text). Real nice. I guess douchebags like to surround themselves with douchebags.